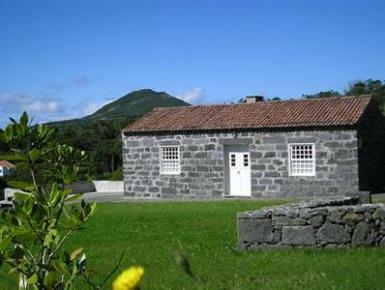 The cottage, in Faial island, is an old rural house build of volcanic stone and covered with traditional hollow tile. Located 10 km from the airport and 19 km from Horta town, in the small locality of Areeiro, village of Capelo, you have the sea in the horizon and from here you can find paths that lead you to the 2 km distant Varadouro bay, one of the most beautiful places in Faial, where people dive, fish, swim in the natural pool or just lay under the sun. In the volcano Capelinhos area you can discover the old lighthouse ruins and from there, many endemic flora species which are part of the "Natura 2000" European Network.